Your mail date is scheduled at the time your print order is placed. Typically, your mail pieces will be submitted to the USPS 1-2 days after printing. An intelligent mail barcode is printed to each piece to expedite your mail through the post office's automated system. Each address is CASS (Coding Accuracy Support System) certified in ensure your address list, along with each address is valid. Upon request, duplicate addresses are removed from your list so you won't pay for postage twice. We also provide NCOA (National Change of Address) processing - if mail recipient has moved and changed their address through the USPS, new address is automatically updated when your mail list is submitted. The updated mail list is then provided back to you for your records. First-class automated mail should arrive at your customer's doorstep 1-4 days after the job has been submitted to the USPS. The minimum amount for this service is 500 pieces. 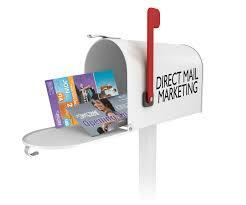 Standard mail should begin to hit the doorsteps 3-7 days after your job has been submitted to the USPS. The minimum amount for this service is 200 pieces.